Geant4  (for GEometry ANd Tracking) is a platform for "the simulation of the passage of particles through matter," using Monte Carlo methods. It is the successor of the GEANT series of software toolkits developed by CERN, and the first to use object oriented programming (in C++). Its development, maintenance and user support are taken care by the international Geant4 Collaboration. 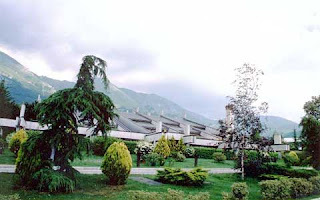 Application areas include high energy physics and nuclear experiments, medical, accelerator and space physics studies. The software is used by a number of research projects around the world. The Geant4 software and source code is freely available from the project web site; until version 8.1 (released June 30, 2006), no specific software license for its use existed; Geant4 is now provided under the Geant4 Software License. 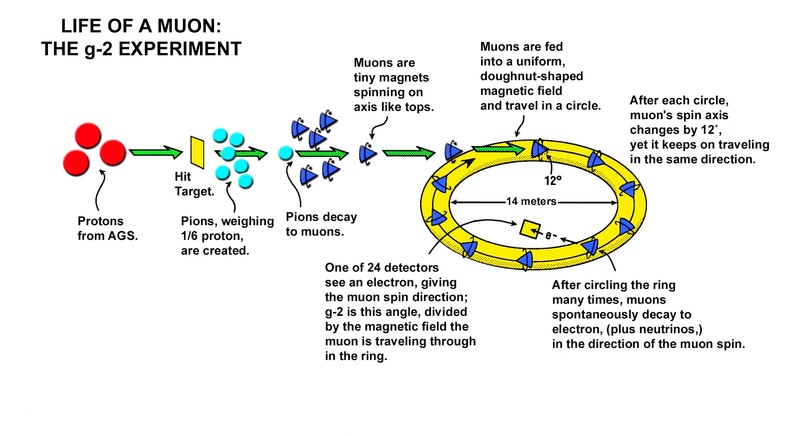 It is the case of an article on Muon Tomography, titled New Muon Detector Could Find Hidden Nukes. The article appeared a few days ago on Wired. It is centered on Lisa Grossman's interview to Marcus Hohlmann, a colleague from the Florida Institute of Technology. In a nutshell, the article explains how muon particles from cosmic rays can be used to detect heavy elements (as in nuclear fuel) hidden in transport containers. And what makes things sexier is that the used technology is a spin-off from experiments from particle physics. 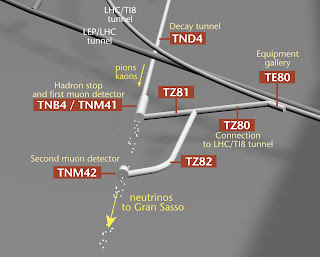 See: Muon Tomography: Who Is Leading The Research ? 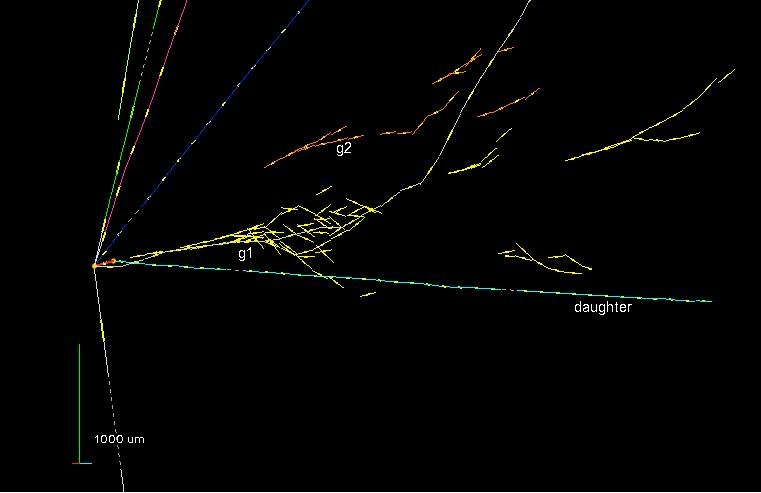 The progression of Muon Tomography, is an interesting subject in relation to what can be used to help us understand issues we face here on earth. Situations that need new ways in which to diagnostically deal with extreme situations. 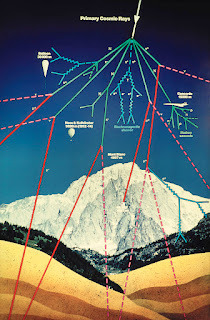 Example given in relation too, rock density, magma flows, or, even nuclear reactors. One has to learn to understand "links that are dropped" which pursue a thread of evolution. These help one to understand the processional use of the technologies as used to understand the ways things are measured in those extreme situations. 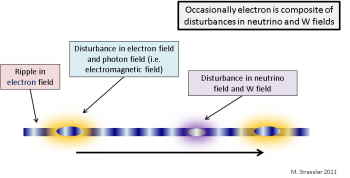 Sensor-ability, then takes on a new meaning while using current scientific research and understandings in particle physics. 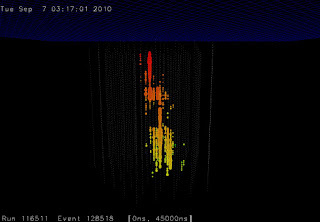 An image of the shadow of the Moon in muons as produced by the 700m subterranean Soudan 2 detector in the Soudan Mine in Minnesota. The shadow is the result of approximately 120 muons missing from a total of 33 million detected in Soudan 2 over its 10 years of operation. The cross denotes the actual location of the Moon. The shadow of the Moon is slightly offset from this location because cosmic rays are electrically charged particles and were slightly deflected by the Earth's magnetic field on their journey to the upper atmosphere. The shadow is produced due to the shielding effect the Moon has on galactic and cosmic rays, which stream in from all directions. 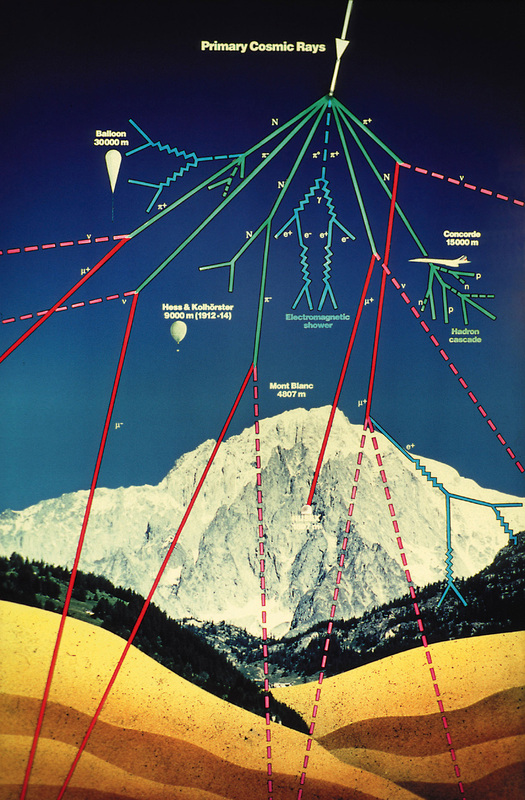 The cosmic rays normally strike atoms high in the upper atmosphere, producing showers of muons and other short lived particles. Just an update here while looking at Sean Carroll's blog post article, entitled," Scientists Confirm Existence of Moon." While we understand the need for confirmation of the existence of things, seeing how our perception is used in order to make such a statement, is a statement of such a measure then as to what is real. So I have spent some time here looking at how this measure is used in term sof such clarifications and this to me is an exciting off shoot of what particle research has done for us. The skies the limit then as to our use of such a measure then is seen and understood in the post written by Sean Carroll. The more complex the data base the more accurate one's simulation is achieved. The point is though that you have to capture scientific processes through calorimeter examinations just as you do in the LHC. So these backdrops are processes in identifying particle examinations as they approach earth or are produced on earth. See Fermi and capture of thunder storms and one might of asked how Fermi's picture taking would have looked had they pointed it toward the Fukushima Daiichi nuclear disaster? 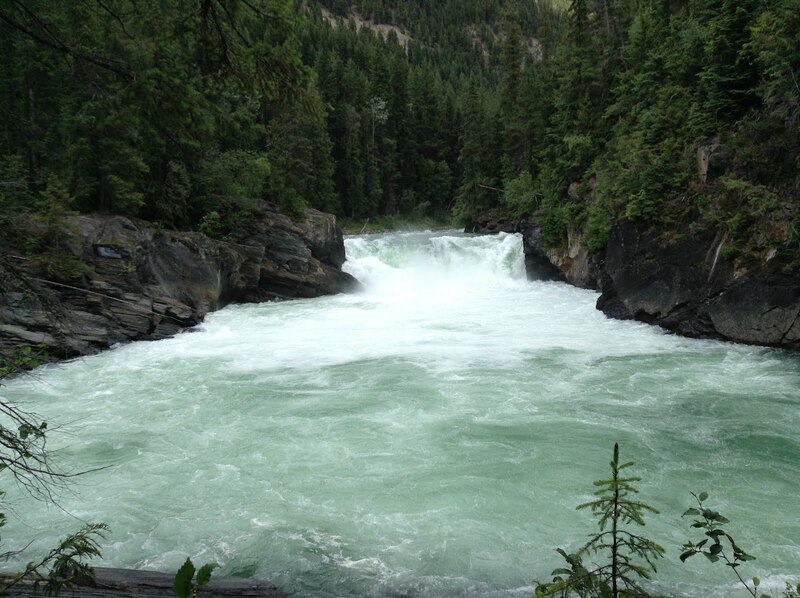 So the idea here is how you map particulates as a measure of natural processes? The virtual world lacks the depth of measure with which correlation can exist in the natural world? Why? Because it asks the designers of computation and memory to directly map the results of the experiments. So who designs the experiments to meet the data? How did they know the energy range that the Higg's Boson would be detected in? 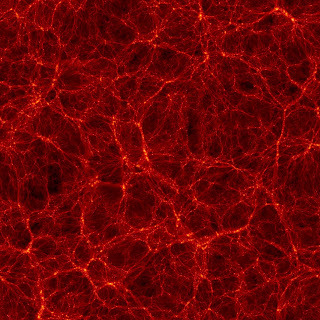 The Bolshoi simulation is the most accurate cosmological simulation of the evolution of the large-scale structure of the universe yet made ("bolshoi" is the Russian word for "great" or "grand"). The first two of a series of research papers describing Bolshoi and its implications have been accepted for publication in the Astrophysical Journal. 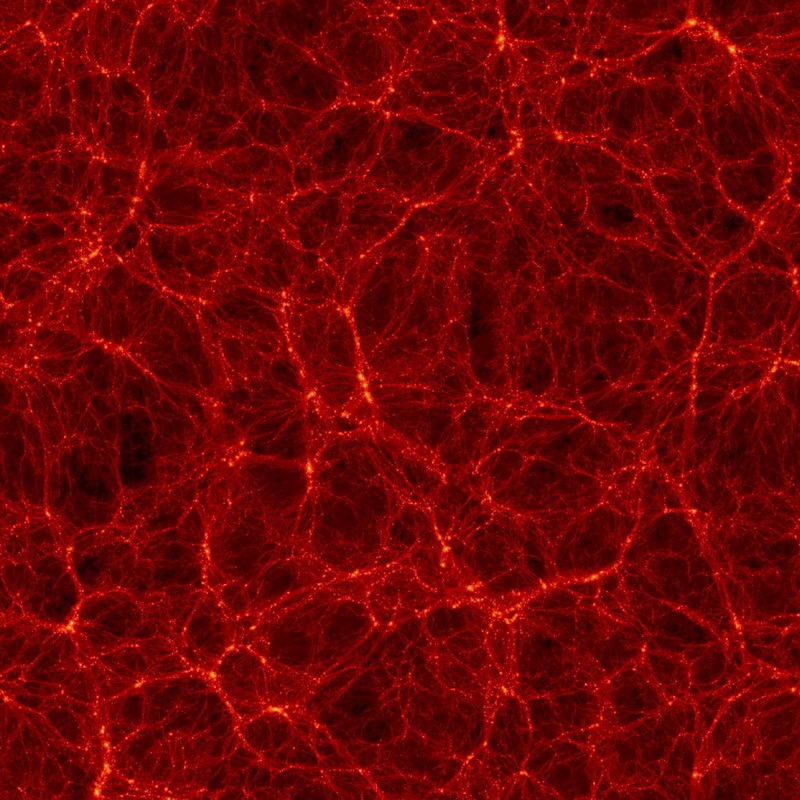 The first data release of Bolshoi outputs, including output from Bolshoi and also the BigBolshoi or MultiDark simulation of a volume 64 times bigger than Bolshoi, has just been made publicly available to the world's astronomers and astrophysicists. 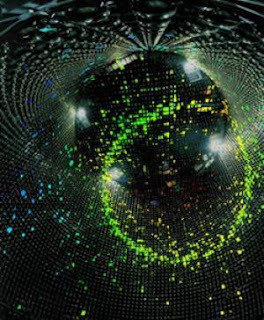 The starting point for Bolshoi was the best ground- and space-based observations, including NASA's long-running and highly successful WMAP Explorer mission that has been mapping the light of the Big Bang in the entire sky. 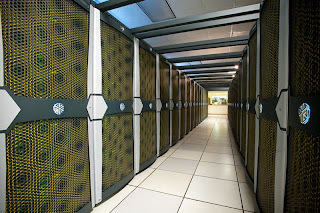 One of the world's fastest supercomputers then calculated the evolution of a typical region of the universe a billion light years across. CREDIT: Anatoly Klypin (New Mexico State University), Joel R. Primack (University of California, Santa Cruz), and Stefan Gottloeber (AIP, Germany). View of the CMS endcap through the barrel sections. The ladder to the lower right gives an impression of scale. ......(CMS) experiment is one of two large general-purpose particle physics detectors built on the proton-proton Large Hadron Collider (LHC) at CERN in Switzerland and France. Approximately 3,600 people from 183 scientific institutes, representing 38 countries form the CMS collaboration who built and now operate the detector. It is located in an underground cavern at Cessy in France, just across the border from Geneva. Recent collider experiments such as the now-dismantled Large Electron-Positron Collider at CERN and the (as of 2010[update]) still running Tevatron at Fermilab have provided remarkable insights into, and precision tests of the Standard Model of Particle Physics. However, a number of questions remain unanswered. A principal concern is the lack of any direct evidence for the Higgs Boson, the particle resulting from the Higgs mechanism which provides an explanation for the masses of elementary particles. 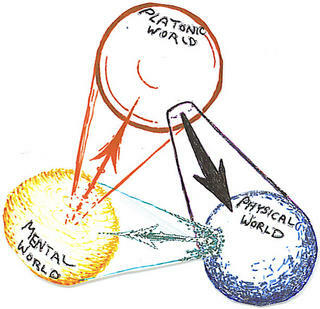 Other questions include uncertainties in the mathematical behaviour of the Standard Model at high energies, the lack of any particle physics explanation for dark matter and the reasons for the imbalance of matter and antimatter observed in the Universe. The Large Hadron Collider and the associated experiments are designed to address a number of these questions. 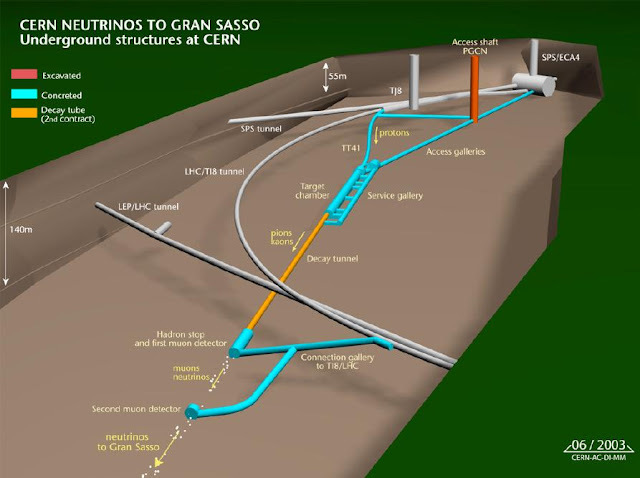 The ATLAS experiment, at the other side of the LHC ring is designed with similar goals in mind, and the two experiments are designed to complement each other both to extend reach and to provide corroboration of findings. 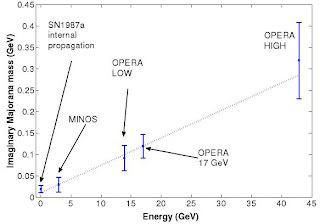 CMS is designed as a general-purpose detector, capable of studying many aspects of proton collisions at 14 TeV, the center-of-mass energy of the LHC particle accelerator. It contains subsystems which are designed to measure the energy and momentum of photons, electrons, muons, and other products of the collisions. The innermost layer is a silicon-based tracker. Surrounding it is a scintillating crystal electromagnetic calorimeter, which is itself surrounded with a sampling calorimeter for hadrons. The tracker and the calorimetry are compact enough to fit inside the CMS solenoid which generates a powerful magnetic field of 3.8 T. Outside the magnet are the large muon detectors, which are inside the return yoke of the magnet. For full technical details about the CMS detector, please see the Technical Design Report. This is the point in the centre of the detector at which proton-proton collisions occur between the two counter-rotating beams of the LHC. At each end of the detector magnets focus the beams into the interaction point. 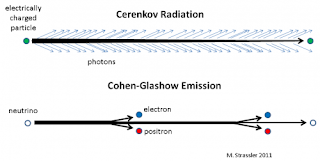 At collision each beam has a radius of 17 μm and the crossing angle between the beams is 285 μrad. 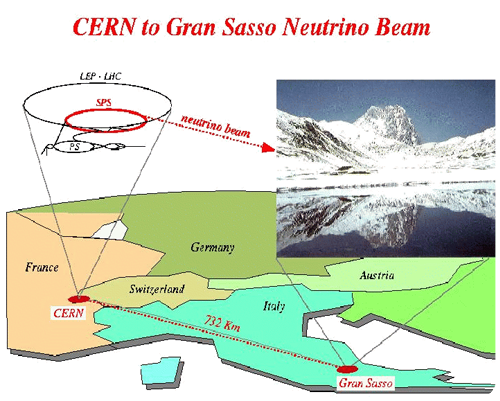 At full design luminosity each of the two LHC beams will contain 2,808 bunches of 1.15×1011 protons. 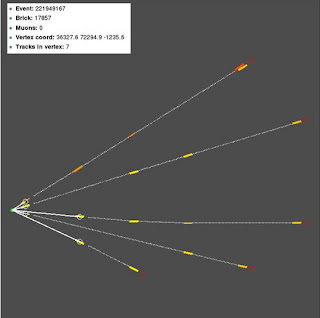 The interval between crossings is 25 ns, although the number of collisions per second is only 31.6 million due to gaps in the beam as injector magnets are activated and deactivated. 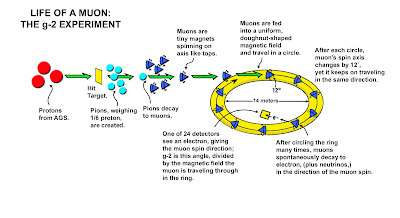 At full luminosity each collision will produce an average of 20 proton-proton interactions. The collisions occur at a centre of mass energy of 14 TeV. It is worth noting that the actual interactions occur between quarks rather than protons, and so the actual energy involved in each collision will be lower, as determined by the parton distribution functions. 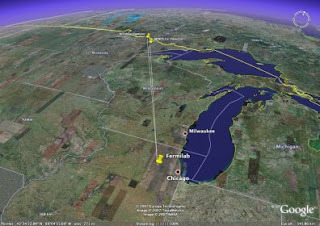 The first which ran in September 2008 was expected to operate at a lower collision energy of 10 TeV but this was prevented by the 19 September 2008 shutdown. 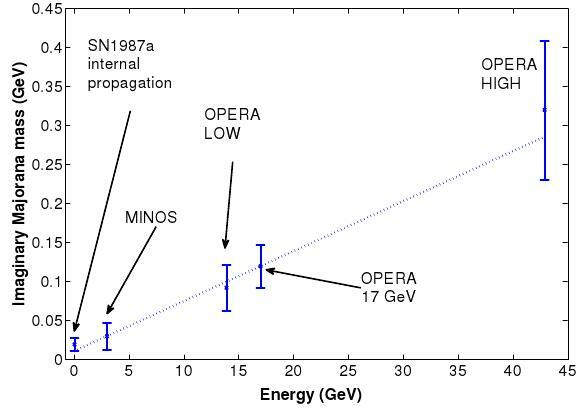 When at this target level, the LHC will have a significantly reduced luminosity, due to both fewer proton bunches in each beam and fewer protons per bunch. The reduced bunch frequency does allow the crossing angle to be reduced to zero however, as bunches are far enough spaced to prevent secondary collisions in the experimental beampipe. The silicon strip tracker of CMS. 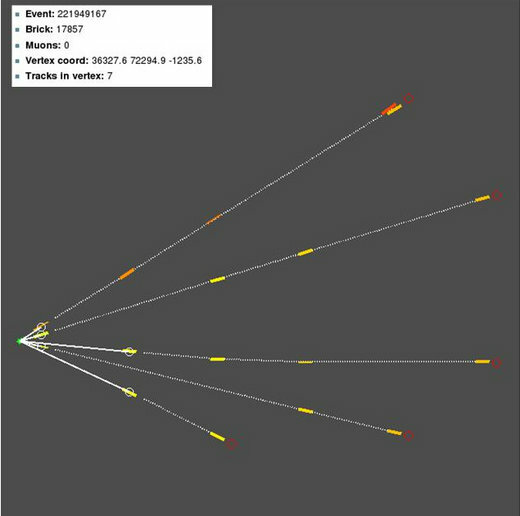 Immediately around the interaction point the inner tracker serves to identify the tracks of individual particles and match them to the vertices from which they originated. The curvature of charged particle tracks in the magnetic field allows their charge and momentum to be measured. The CMS silicon tracker consists of 13 layers in the central region and 14 layers in the endcaps. The innermost three layers (up to 11 cm radius) consist of 100×150 μm pixels, 66 million in total. The next four layers (up to 55 cm radius) consist of 10 cm × 180 μm silicon strips, followed by the remaining six layers of 25 cm × 180 μm strips, out to a radius of 1.1 m. There are 9.6 million strip channels in total. During full luminosity collisions the occupancy of the pixel layers per event is expected to be 0.1%, and 1–2% in the strip layers. The expected SLHC upgrade will increase the number of interactions to the point where over-occupancy may significantly reduce trackfinding effectiveness. This part of the detector is the world's largest silicon detector. It has 205 m2 of silicon sensors (approximately the area of a tennis court) comprising 76 million channels. 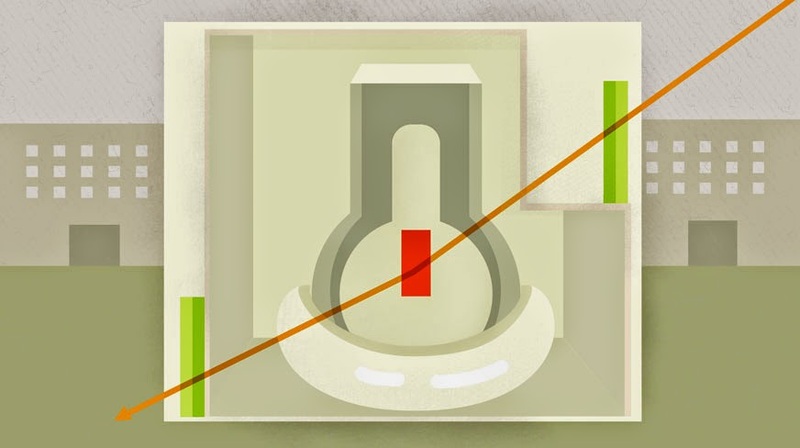 The Electromagnetic Calorimeter (ECAL) is designed to measure with high accuracy the energies of electrons and photons. The ECAL is constructed from crystals of lead tungstate, PbWO4. This is an extremely dense but optically clear material, ideal for stopping high energy particles. It has a radiation length of χ0 = 0.89 cm, and has a rapid light yield, with 80% of light yield within one crossing time (25 ns). This is balanced however by a relatively low light yield of 30 photons per MeV of incident energy. The crystals used have a front size of 22 mm × 22 mm and a depth of 230 mm. They are set in a matrix of carbon fibre to keep them optically isolated, and backed by silicon avalanche photodiodes for readout. The barrel region consists of 61,200 crystals, with a further 7,324 in each of the endcaps. At the endcaps the ECAL inner surface is covered by the preshower subdetector, consisting of two layers of lead interleaved with two layers of silicon strip detectors. 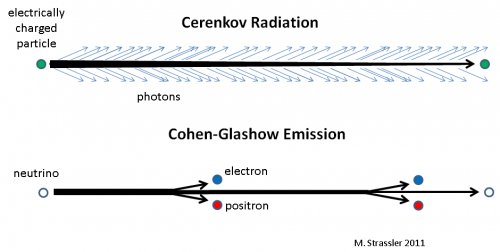 Its purpose is to aid in pion-photon discrimination. The purpose of the Hadronic Calorimeter (HCAL) is both to measure the energy of individual hadrons produced in each event, and to be as near to hermetic around the interaction region as possible to allow events with missing energy to be identified. The HCAL consists of layers of dense material (brass or steel) interleaved with tiles of plastic scintillators, read out via wavelength-shifting fibres by hybrid photodiodes. This combination was determined to allow the maximum amount of absorbing material inside of the magnet coil. The high pseudorapidity region (3.0 < | η | < 5.0) is instrumented by the Hadronic Forward detector. Located 11 m either side of the interaction point, this uses a slightly different technology of steel absorbers and quartz fibres for readout, designed to allow better separation of particles in the congested forward region. The brass used in the endcaps of the HCAL used to be Russian artillery shells. Like most particle physics detectors, CMS has a large solenoid magnet. This allows the charge/mass ratio of particles to be determined from the curved track that they follow in the magnetic field. It is 13 m long and 6 m in diameter, and its refrigerated superconducting niobium-titanium coils were originally intended to produce a 4 T magnetic field. It was recently announced that the magnet will run at 3.8 T instead of the full design strength in order to maximize longevity. The inductance of the magnet is 14 Η and the nominal current for 4 T is 19,500 A, giving a total stored energy of 2.66 GJ, equivalent to about half-a-tonne of TNT. There are dump circuits to safely dissipate this energy should the magnet quench. The circuit resistance (essentially just the cables from the power converter to the cryostat) has a value of 0.1 mΩ which leads to a circuit time constant of nearly 39 hours. This is the longest time constant of any circuit at CERN. The operating current for 3.8 T is 18,160 A, giving a stored energy of 2.3 GJ. To identify muons and measure their momenta, CMS uses three types of detector: drift tubes (DT), cathode strip chambers (CSC) and resistive plate chambers (RPC). 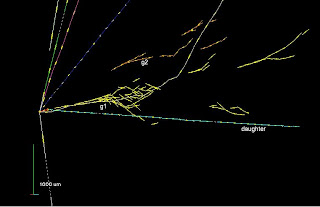 The DTs are used for precise trajectory measurements in the central barrel region, while the CSCs are used in the end caps. The RPCs provide a fast signal when a muon passes through the muon detector, and are installed in both the barrel and the end caps. The Hadron Calorimeter Barrel (in the foreground, on the yellow frame) waits to be inserted into the superconducting magnet (the silver cylinder in the centre of the red magnet yoke). A part of the Magnet Yoke, with drift tubes and resistive-plate chambers in the barrel region. Testing the data read-out electronics for the tracker. 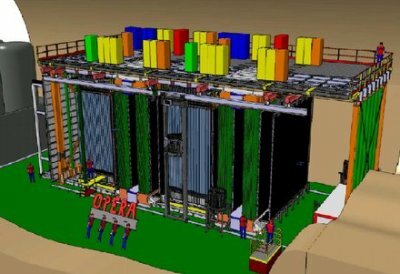 New particles discovered in CMS will be typically unstable and rapidly transform into a cascade of lighter, more stable and better understood particles. Particles travelling through CMS leave behind characteristic patterns, or ‘signatures’, in the different layers, allowing them to be identified. The presence (or not) of any new particles can then be inferred. Data that has passed the triggering stages and been stored on tape is duplicated using the Grid to additional sites around the world for easier access and redundancy. Physicists are then able to use the Grid to access and run their analyses on the data. 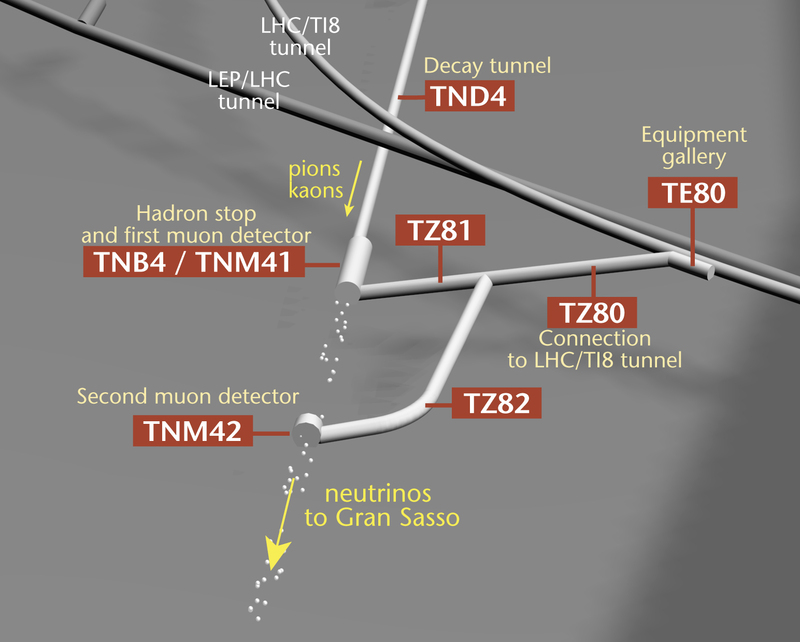 Looking at events with large amounts of apparently missing energy, which implies the presence of particles that have passed through the detector without leaving a signature, such as neutrinos. Looking at the kinematics of pairs of particles produced by the decay of a parent, such as the Z boson decaying to a pair of electrons or the Higgs boson decaying to a pair of tau leptons or photons, to determine the properties and mass of the parent. Looking at jets of particles to study the way the quarks in the collided protons have interacted. 1998 Construction of surface buildings for CMS begins. 2000 LEP shut down, construction of cavern begins. 10 September 2008 First beam in CMS. 23 November 2009 First collisions in CMS. 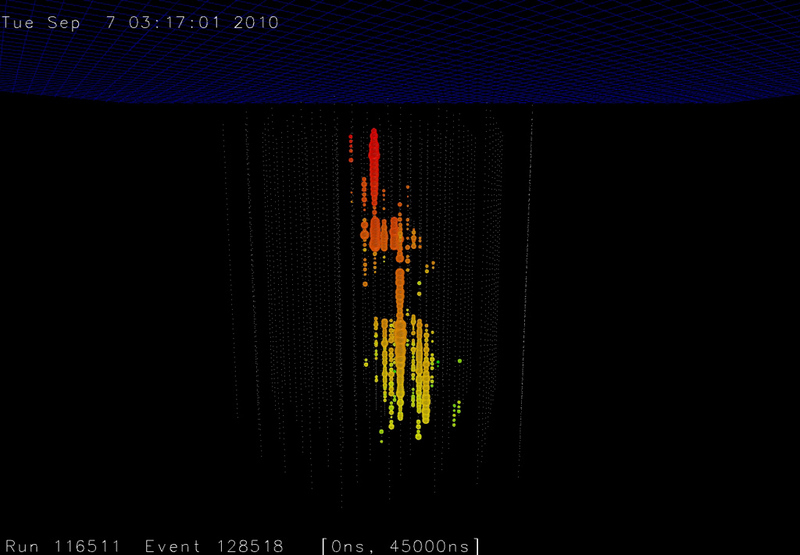 30 March 2010 First 7 TeV collisions in CMS. Della Negra, Michel; Petrilli, Achille; Herve, Alain; Foa, Lorenzo; (2006) (PDF). CMS Physics Technical Design Report Volume I: Software and Detector Performance. CERN. http://doc.cern.ch//archive/electronic/cern/preprints/lhcc/public/lhcc-2006-001.pdf.